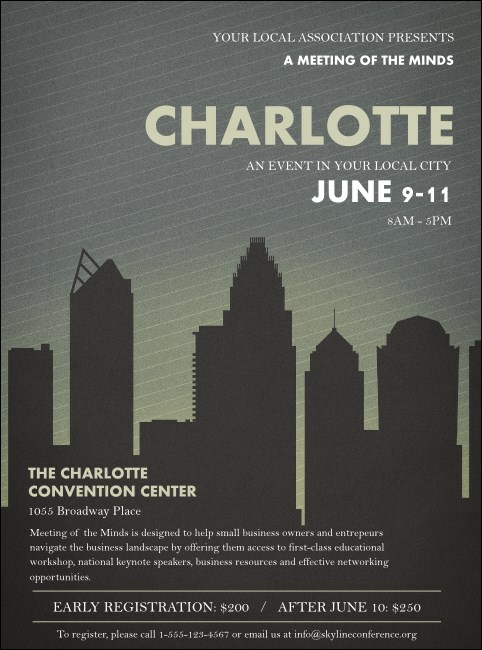 Avoid the sting of low ticket sales when you print Charlotte Flyers and advertise your next event in the Hornet’s Nest in advance. Send your event attendance soaring with Flyers that feature a classic gray and white striped background with the shadow of Uptown’s stunning skyline and fifteen lines of custom text. Get the best advertising in the Piedmont Crescent at TicketPrinting.com.